﻿ Who is the Sinner God Accepts? Who is the Sinner God Accepts? I am clean through the blood of Jesus Christ. Indeed, if the blood of Jesus does not cover my sin, I am eternally doomed. What the Jewish sin offering taught by metaphor, Jesus Christ fulfilled in perfect reality. 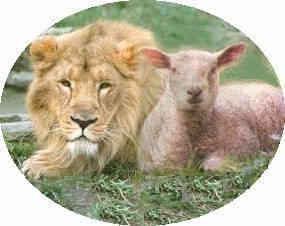 The animal chosen for the sacrifice on all occasions was spotless, without blemish, and sinless. The person offering the sacrifice placed his hands on the head of the animal and while pressing down confessed his sins symbolizing a transference of sin and guilt from the offender to the innocent substitute victim. It is as if he put the sin and its consequences on the head of the animal that was to die in his place. The priest then took his knife and killed the victim that was entirely consumed by fire symbolizing God’s judgment. The LORD God made Jesus Christ an offering for sin. The moment we put our hands upon His head by faith and see Him being offered up on the cross for our guilt, we know that our sins have been transferred to Him, and we are free of our guilt. We are clean through the blood of Jesus Christ. God must punish sin. “The soul that sins will surely die.” “The wages of sin is death,” declares the Bible. Sin deserves and demands by its very nature that it be punished. Because God is holy, sin must be punished. We have sinned and are like wandering sheep. God in an act of grace provided and accepted a substitute for sinners. The Bible says, "For God so loved the world, that He gave His only begotten Son, that whoever believes in Him shall not perish, but have eternal life" (John 3:16). This verse teaches us that God spared not His only begotten Son, but freely delivered Him up to death as a sacrifice for our sin. “God commends His love toward us, in that, while we were yet sinners, Christ died for us.” The overwhelming infinite love of God the Father sent the innocent Son of God to the cross to die for sins. What we receive from God is the pure, rich, free, sovereign grace of God in Jesus Christ. Because God is a righteous person, He must punish sin. That means He must punish you and me for our sins unless someone else who is spotless, pure, and sinless will suffer and die in our place. That is what Jesus did for us. He suffered in the place of all who have believed on Him, who do believe on Him, and ever shall believe on Him. Jesus Christ was the only person who could be qualified to die in the place of a sinner. If Jesus had ever experienced personal sin, He could only have died for Himself. Because He was sinless, He could and did die as our substitute. Moreover, the death of Jesus Christ is all-sufficient. As God dying for sinful man, He never has to die again. His once-and-for-all sacrifice is all-sufficient. There is therefore no second death for those who believe in His atoning death for sin. God made Jesus an offering for sin. “The Lord has laid on Him the iniquity of us all” (Isaiah 53:6). A sovereign decree of heaven declared Jesus the great substitutionary sacrifice for His people. God provided the lamb for His own burnt offering. God provided His Son as the perfect sacrifice for our sins. God’s appointed sufferer died in your place. The justice of God was satisfied. God made Jesus to be a sin offering for you. The eternal effects of the atoning death of Jesus are now complete and perfect. The atonement of Jesus Christ was so complete that He nor anyone else need ever suffer again. The good news is there is now complete pardon and forgiveness for every person who believes in Christ. You dare not add one single thing to it. You do not need to do anything to make the atonement of Jesus Christ sufficient to save you. Pardon, full and free, is yours by believing on Christ. Yours past sins, your present sins, and your sins to come have all been laid on the head of your divine substitute who died in your place. “The wages of sin is death,” and Jesus Christ died that death for you. But not only that, God has placed His royal robe of righteousness upon us! No rags of yours are needed to complete or perfect what Christ has done for us. Christ has perfected forever those who are set apart in Him. The believer is complete in Christ.